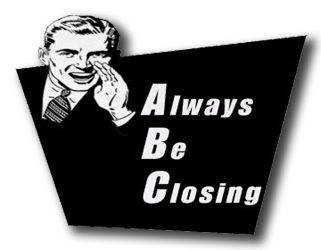 One of the main areas in which sales employees struggle is closing the deal. Closing a sale is an art form and something which improves through practice. Obviously in sales you can’t wait too long before hitting the mark which is why we have created a top 10 list of sales closing techniques to try and improve your closing rate. 2. Make sure to ask the question - 70% don’t! 5. Make sure you uncover the real objection - it’s rarely ‘the price’! 10. Celebrate a ‘No’ ... it’s your chance to show how good you are! The top 10 skills aren’t a guarantee but these implemented with practice and even some specific training courses are sure to improve the effectiveness of you and your sales team. At Spinnaker we specialise in improving the skill set of your sales team, making them more confident, adding new skills and developing existing skills to create a more effective sales team. We offer a variety of sales training courses which range from basic sales training courses to fully bespoke sales courses and sales mentoring across months and years to continually improve your sales team. To learn more about the sales training courses that we offer at Spinnaker please get in touch, and we will recommend you the best fit courses for your business goals.